Book a fitness retreat in an inspirational location in 2019 to help you reenergise, lose some weight, tone up or train for a big event. 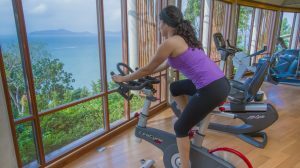 Here are just a few of the fitness retreats we’ve reviewed in depth and recommend. Happy days! Set dates in February, March, April, October & November: These magnificent Wim Hof (aka The Ice Man) method retreats will help you find your inner fire. Led by WHM instructor Allan Brownlie, they’re based on three pillars of cold therapy, breathing and commitment. 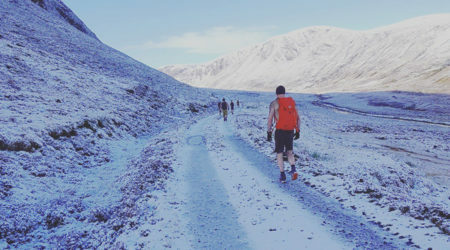 Choose a 3 day fundamentals, a 5 day adventure or an 8 day challenge. Explore. 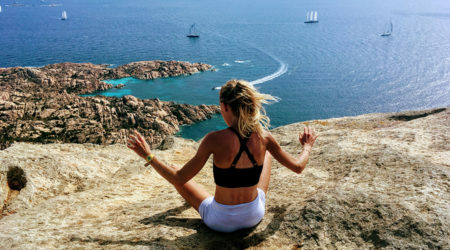 1-8 June and 9-16 June 2019: These intensive, effective small group fitness retreats in the Maddalena Archipelago National Park are led by company founders and fitness instructors Emma Bodkin and Lottie Pridham. Have fun, with all your needs taken care of. Explore. 5-10 June, 8-13 July, 15-20 July and 5-10 September 2019: Join talented instructor and former equestrian Jodie McGregor on a group retreat dedicated to intelligent movement, natural nourishment and finding a new mindset in the stunning Tramuntana mountains. Explore. Set dates in April, May, June, September, October & November: This inventive group holistic fitness holiday on the ruggedly beautiful coast of Menorca in Spain includes barefoot running on the beach, sea swimming, rhythmic boxing, circuits and great food. Explore. Open all year round: This unpretentious, first-class health and fitness retreat in the foothills of Mount Kuchumaa offers wellbeing retreats that begin each Saturday. There’s plenty to get or keep you fit, from fantastic hikes and runs to hourly fitness classes. Explore. Open all year round: This serene and soulful holistic spa offers 5, 7 and 10 day fitness programmes including classes and workouts in its gym with consultations and treatments. Explore.